1. 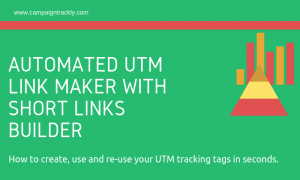 We have now separated Single-link tagging campaigns which are using the “Link Grabber” Chrome extension versus the Multiple-link tagging functionality. Single-link tagging functionality is more adept for bloggers who want to share a blog across multiple platforms and promotional channels or a single Marketing player who works solo to promote specific websites and assets. click on the extension icon (if activated) and grab the web address of a page, together with its name and quickly add numerous tags to it. right-click any link in a page and grab that link to start adding tags and then share directly on Twitter, LinkedIn, Facebook or Buffer. Note: Nothing changes for our existing Chrome Extension users. 2. Separating Multiple-link tagging functionality allows us to give users the flexibility to drag, drop, combine and separate multiple tag variables while processing a large number of links in a matter of minutes. 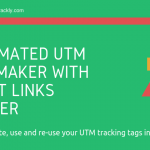 Multiple-link tagging functionality is for campaign managers who handle a large amount of links and require ability to assign a variety of standard UTM tags as well as customized tags to their promotional links. 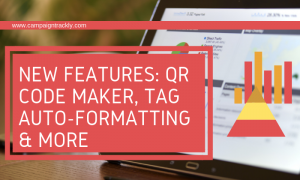 Whereas before, we could not provide mix and match functionality per tag type, now we have this major breakthrough capability which will enable users to find adding tags easy, simple, and intuitive. 3. 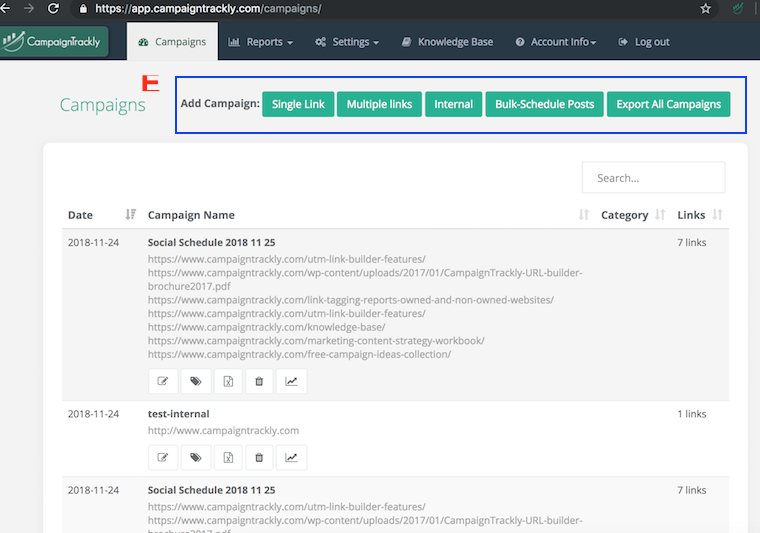 We have now added end-to-end Hootsuite capability for Multiple-link campaigns, where Social Media specialists can tag in one go their entire daily or weekly multi-link social schedules. 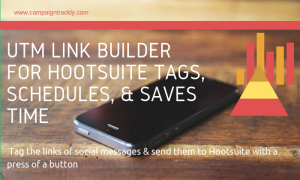 Creating their calendar & social content in the Hootsuite Composer template, users can upload their final file in CampaignTrackly, quickly add all the tags needed and send the tagged schedule to Hootsuite with a click. (CampaignTrackly Hootsuite App required). Our Hootsuite Bulk Social Schedule automation feature enables busy social media managers who upload daily a large number of social posts and schedules to do so without having to spend extra time to ensure reporting is part of their routine. Once they write their content and assigned the publishing time, using the Hootsuite CSV template, they can upload the template in CampaignTrackly, quickly add tagging to all links at once (the whole drag-and-drop process takes a few minutes) and upon successful saving of their tagging activity can send everything to their Hootsuite account with a push of a button (Awaiting approval from Hootsuite for official publishing of the app). 4. 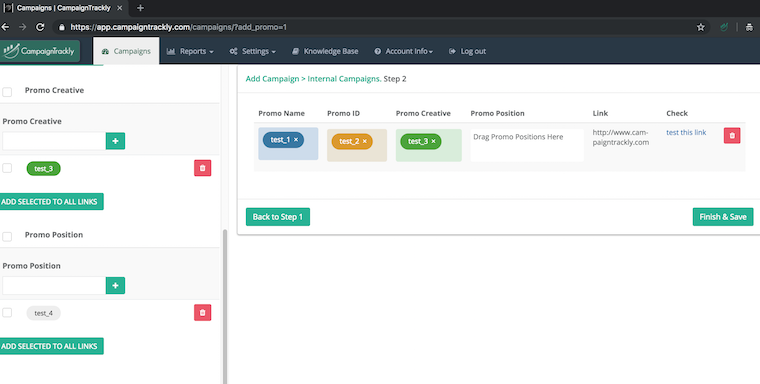 We have now separated the Internal Promos tag link generation where digital marketers and eCommerce campaign managers can mix and match promo variables in a quick, flexible and easy way. Our Internal Promo variables were part of the common dashboard, which sometimes confused our users and they were unclear how they could use that. Now we have a dedicated page for those, so that the people who need to add promo tagging for internal campaigns and eCommerce promotions can use that without mixing it up with the general promotional campaigns. 5. We have fixed a large amount of bugs related to Email address confirmation, Internal campaigns, Multiple-Link Campaigns, Bitly Reports, and more. Thank you to our CampaignTrackly users and supporters for sharing with us all your feedback and supporting us through our growth. With 1050 registered business users and growing, we are looking at the future with confidence. 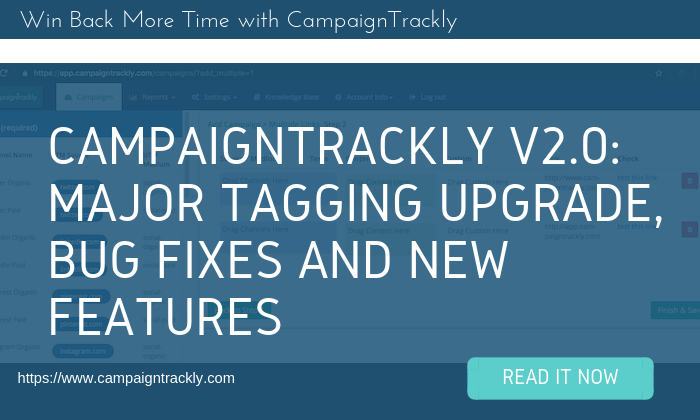 The new CampaignTrackly system changes will be finalized by November 26, 2018. Please bear with us in the meantime should there be any disruption of service. Many thanks for all your support!